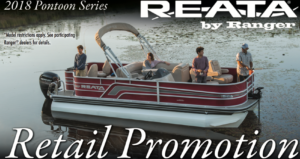 FLIPPIN, AR – Ranger Boats announced a limited-time-only sales promotion geared to in-stock 2018 Reata by Ranger Pontoons. The incentives include up to $850 in combined retail value with a qualifying purchase and come just in time for summer boating season. 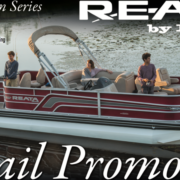 The promotion will run July 1, 2018, to Oct. 1, 2018, and is applicable towards purchases of any 2018 in-stock Reata by Ranger Pontoon. Specifically, any new, in-stock Reata by Ranger 243 Cruise will include a $750 gift card for use at Bass Pro Shops or Cabela’s locations in addition to a $100 credit towards premium, Ranger clothing and accessories available through RangerWear.com. 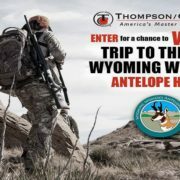 The 223 Fish and 223 Cruise models, as well as the 220 Fish and Cruise, will feature a $500 Bass Pro Shops/Cabela’s gift card as well as the $100 Ranger Wear credit. Finally, the Reata by Ranger 200 Fish and 200 Cruise models will include a $250 Bass Pro Shops/Cabela’s gift card, as well as the $100 Ranger Wear credit. 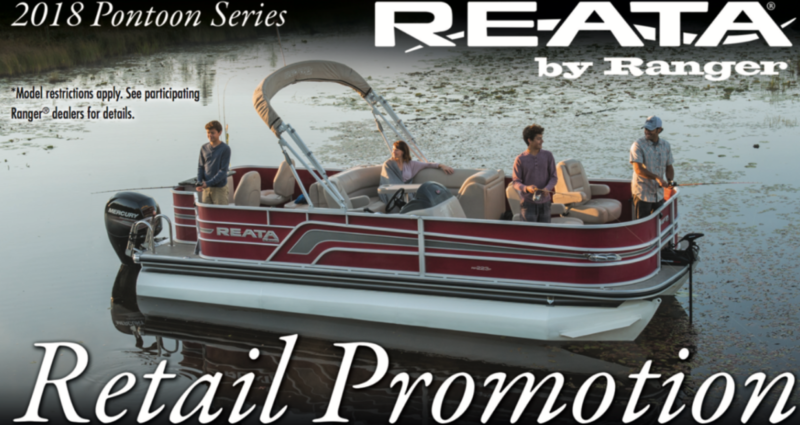 The program incentive is limited to new, eligible Reata by Ranger Pontoons sold during the promotional timeframe. For more information or to see the complete Reata by Ranger lineup, contact a local Ranger Boats dealer or visit www.rangerboats.com.